What Are the Components of a Defibrillator? What Are the Types of Defibrillators? Arrhythmias are erratic heartbeats. There are two types of arrhythmias that are particularly dangerous. The first is ventricular fibrillation (VF). This is when the heart experiences very rapid beating or an abnormal rhythm. This condition causes the heart to quiver uselessly instead of pumping blood throughout your body. The reduced blood supply results in organ failure. The other is ventricular tachycardia (VT). VT is when the heart speeds up more than 100 beats per minute with at least 3 irregular heartbeats in a row. This condition does not allow the heart to fill with blood before it contracts; thereby, reducing the blood supply. Either condition may lead to cardiac arrest. These cardiac stimulators basically consist of a power source, an inductor, a capacitor, a rectifier, a trans-former and electrodes. These components draw energy from the power source, store it, modulate it, and deliver the energy pulse to provide pulmonary resuscitation. The electrodes are placed on the chest of the patient, transferring the charge to their chest cavity. An automated defibrillator machine has the addition of a monitoring device, algorithm and a series of prompts for the user. These supplemental components determine the current condition of the arrhythmia and the amount of energy required to resuscitate. An automated defibrillator may be operated by almost anyone. One study found that 11 to 12 year olds could follow the prompts and successfully administer life-saving defibrillation. 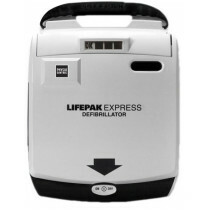 An AED with a rechargeable battery makes sense for machines that are going to be used often. 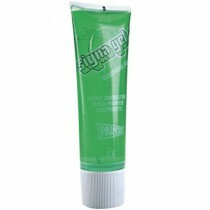 Non-rechargeable batteries have a service life of around four years, upon which, the batteries must be replaced. Rechargeable batteries need to be replaced every 2 years and have a rechargeable time of 2 to 15 hours. Users that employ rechargeable batteries should have extra batteries available for when recharging is taking place to keep their AED device always ready for an emergency service. Semi-automatic AED machines notify the user when to press a button to administer the electrical pulse. 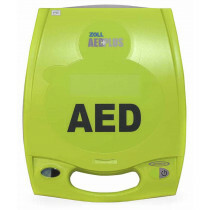 Fully-automatic AED devices, instead, do not require the user to press a button to administer the jolt. The automatic AED electronically senses the heartbeat pattern of the patient and auto adjusts the energy pulse to meet the needs of the patient. This pulse is fired automatically without the need of the user to activate the pulse manually. The automatic versions warn the user to not touch the patient and counts-down to the pulse to ensure the safety of the user. 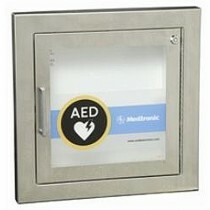 AED’s that have an ECG display allow the user to visualize the ECG waveform on an LCD screen. The user can then interpret for themselves the condition of the patient, allowing them to override the AED’s assessment and deliver a manual pulse to the patient. This function is usually reserved for professional devices. Defibrillator Procedure - How Do Defibrillators Work? Defibrillators work through a biphasic truncated waveform (BTE) or electrical shock that depolarizes the heart muscles. Depolarizing allows the heart’s normal electrical impulse to re-engage itself. This brief electric impulse interrupts the heart fibrillation and allows the heart muscles to return to their normal sequence and operational pattern. There are three types of defibrillators. First are public access defibrillators that are simple and easy to use. 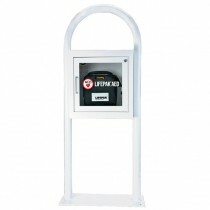 They are commonly referred to as Automated External Defibrillators (AED). AED's do not require a prescription and have been found usable by children down to 11 to 12 years old. That's right, an 11-year old can use an AED device to save someone experiencing cardiac arrhythmia. Second are personal devices that are either internally implanted in the patient or worn externally by the patient. 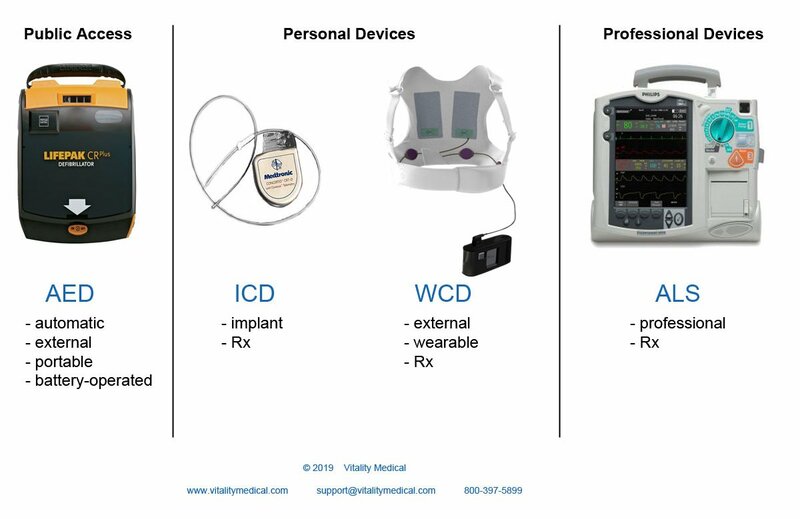 These devices are called Implantable Cardioverter Defibrillators (ICD) or Wearable Cardioverter Defibrillators (WCD). Lastly, there are professional devices more commonly used by hospitals, clinics, or first responders called Advanced Life Support (ALS). This heart stimulator is portable and automatically detects arrhythmia and then calculates the amount of electrical charge needed to stimulate the heart to regain normal operation. An automated external defibrillator works by attaching the adhesive electrodes to the patient’s chest. The AED then senses the heartrate and determines if defibrillation treatment is necessary. If necessary, it automatically calculates the amount of electrical charge required and prompts the user to initiate the pulse to the patient. 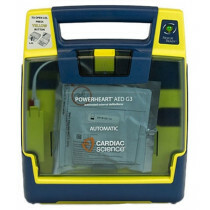 Most AED for sale use audio prompts to guide the user step-by-step through the heart resuscitation process. The use of defibrillator AED machines is for anyone who can follow simple prompts. This type of defibrillator implants in the patient’s chest or abdomen. It is with the patient 24/7 as a heart monitor and emergency defibrillator. 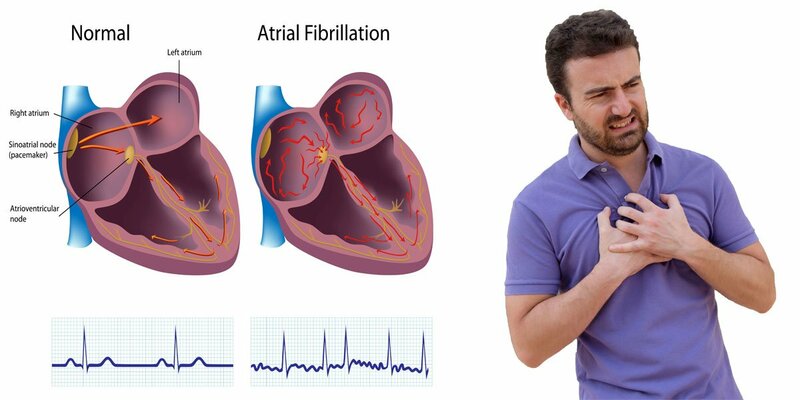 When the device detects a fibrillation, it automatically initiates a treatment pulse to restore normal heart rhythm. Modern ICD’s act as both a defibrillator and pacemaker. Wearable cardioverter defibrillators are similar to ICD’s but are external and non-invasive. Instead, the patient simply wears this personal defibrillator. ALS devices constitute the next step after an external defibrillator fails to treat an arrhythmia attack. When connected to the patient, it monitors their heart rhythm and allows medical personnel to manually induce an electrical charge. The device analyzes the patient and recommends an electrical dosage to sufficiently stimulate the patient’s heart. These devices are used only by professionals in hospitals, clinics or ambulances. Health practitioners usually select the ICD’s, WCD’s or ALS’s for the patient. 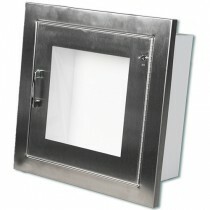 However, AED selection usually takes place by someone in the company, business, facility or home. Choosing the best AED for home use is the same as for a business or facility in terms of selection criteria. 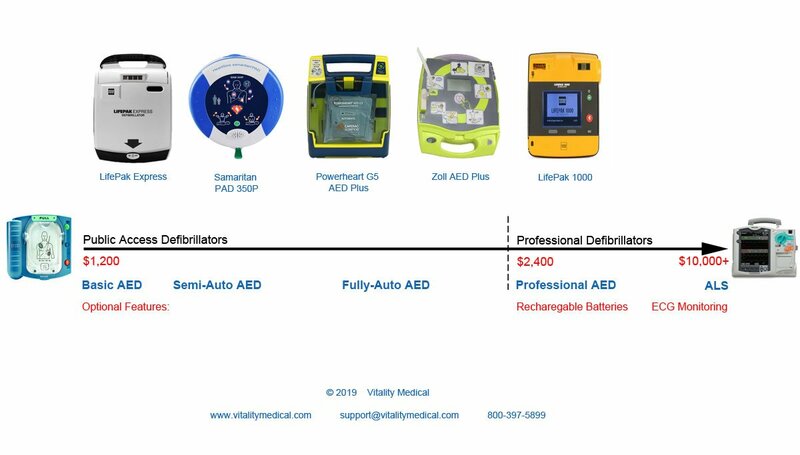 Below is a selection continuum to graphically see where the different features for AED defibrillators lie followed by a list of purchase considerations and to help you buy defibrillators on sale. Below is a alphabetical list of the top six manufacturers of cardiac treatment devices. Deakin, Charles D., and Jerry P. Nolan. "European Resuscitation Council Guidelines for Resuscitation 2005: Section 3. Electrical therapies: Automated external defibrillators, defibrillation, cardioversion and pacing." Resuscitation 67 (2005): S25-S37. Verbeek, P. Richard, et al. "Derivation of a termination‐of‐resuscitation guideline for emergency medical technicians using automated external defibrillators." Academic Emergency Medicine 9.7 (2002): 671-678. Drezner, Jonathan A., et al. "Use of automated external defibrillators at NCAA Division I universities." Medicine and science in sports and exercise 37.9 (2005): 1487-1492. Swor, Robert, et al. "Cardiac arrests in schools: assessing use of automated external defibrillators (AED) on school campuses." Resuscitation 84.4 (2013): 426-429. Rothmier, Justin D., Jonathan A. Drezner, and Kimberly G. Harmon. "Automated external defibrillators in Washington State high schools." British journal of sports medicine (2007). Descatha, Alexis, and Michel Baer. "Automated external defibrillators in the workplace." BMJ/BMJ (CLINICAL RESEARCH ED); Br Med J; British Medical Journal; Brit Med J 337 (2008): a1816. Marenco, John P., et al. "Improving survival from sudden cardiac arrest: the role of the automated external defibrillator." Jama 285.9 (2001): 1193-1200.
van Alem, Anouk P., et al. 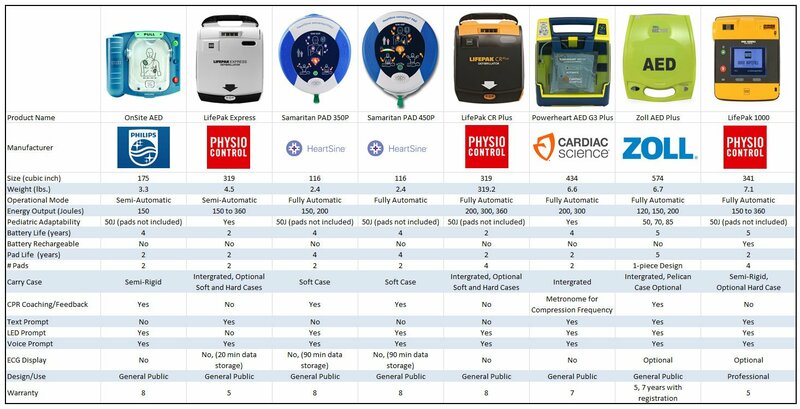 "Use of automated external defibrillator by first responders in out of hospital cardiac arrest: prospective controlled trial." Bmj 327.7427 (2003): 1312. Cummins, Richard O, et al. "Sensitivity, accuracy, and safety of an automatic external defibrillator: report of a field evaluation." The Lancet 324.8398 (1984): 318-320. Weaver, W. Douglas, et al. "Use of the automatic external defibrillator in the management of out-of-hospital cardiac arrest." New England Journal of Medicine 319.11 (1988): 661-666. Klein, Helmut U., et al. "Bridging a temporary high risk of sudden arrhythmic death. Experience with the wearable cardioverter defibrillator (WCD)." Pacing and Clinical Electrophysiology 33.3 (2010): 353-367. Kao, Andrew C., et al. "Wearable defibrillator use in heart failure (WIF): results of a prospective registry." BMC cardiovascular disorders 12.1 (2012): 123. Dillon, Katie A., Steven J. Szymkiewicz, and Thomas E. Kaib. "Evaluation of the effectiveness of a wearable cardioverter defibrillator detection algorithm." Journal of electrocardiology43.1 (2010): 63-67. White, Roger D., and James K. Russell. "Refibrillation, resuscitation and survival in out-of-hospital sudden cardiac arrest victims treated with biphasic automated external defibrillators." Resuscitation 55.1 (2002): 17-23. Callaham, Michael, and Christopher D. Madsen. "Relationship of timeliness of paramedic advanced life support interventions to outcome in out-of-hospital cardiac arrest treated by first responders with defibrillators." Annals of emergency medicine27.5 (1996): 638-648.